Some of our customers request full turnkey projects that require assembly. Team JLMC Inc. is capable of taking on this task. A number of our projects require assembly. 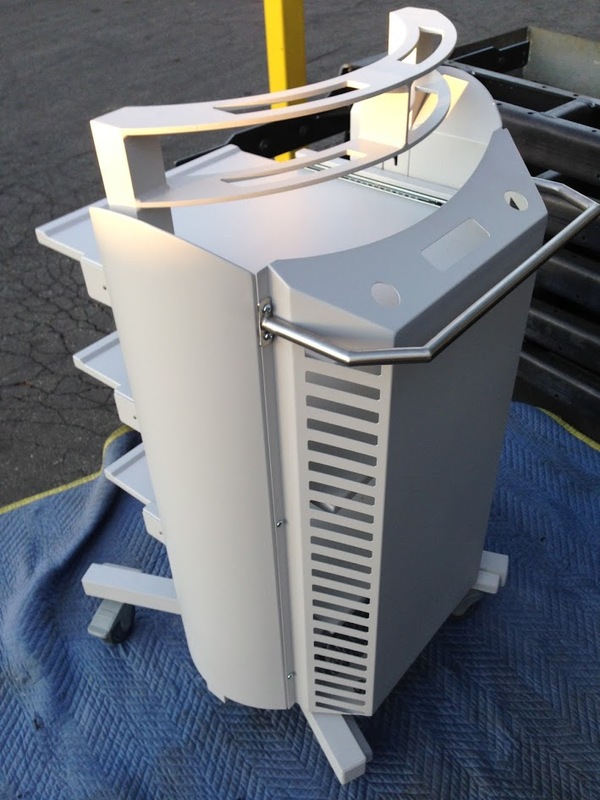 This project you see is a custom built computer cart for hospitals. This customer requested JLMC, Inc. to not only design this so that it all snaps together, but also so it breaks down into a small box for ease of shipping. This cart is 18 Ga. & 16 Ga. steel construction. Powder-coated to meet customers request.